Sarah Nader - snader@shawmedia.com Huntley's Eric Mooney during the fourth quarter of Friday's first-round Class 8A football playoff game against Edwardsville at Huntley High School Oct. 27, 2017. Huntley was defeated, 42-38. 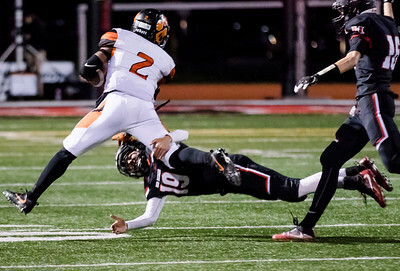 Sarah Nader - snader@shawmedia.com Edwardsville's Chase Viehman (left) tackles Huntley's Eric Mooney during the third quarter of Friday's first-round Class 8A football playoff game at Huntley High School Oct. 27, 2017. 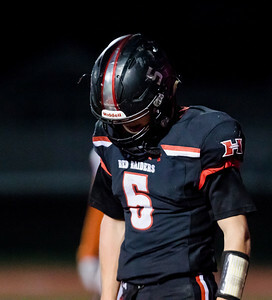 Huntley was defeated, 42-38. Sarah Nader - snader@shawmedia.com Huntley's Ryan Antonsen misses a pass during the first quarter of Friday's first-round Class 8A football playoff game against Edwardsville at Huntley High School Oct. 27, 2017. Huntley was defeated, 42-38. 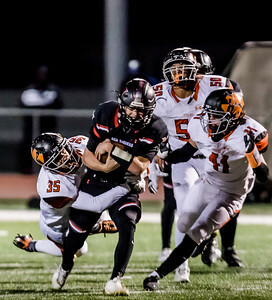 Sarah Nader - snader@shawmedia.com Huntley's Michael Talesky (left) is taken down by Edwardsville's Norman Harris while he runs the ball during the first quarter of Friday's first-round Class 8A football playoff game at Huntley High School Oct. 27, 2017. Huntley was defeated, 42-38. 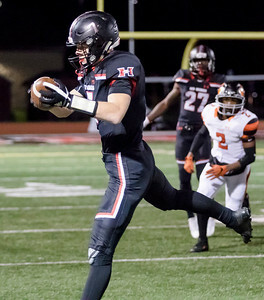 Sarah Nader - snader@shawmedia.com Huntley's Eric Mooney runs towards the end zone for a touchdown during the first quarter of Friday's first-round Class 8A football playoff game against Edwardsville at Huntley High School Oct. 27, 2017. Huntley was defeated, 42-38. 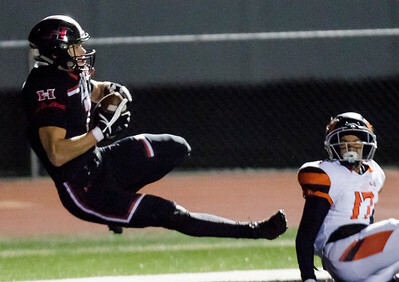 Sarah Nader - snader@shawmedia.com Huntley's Ryan Antonsen scores a touchdown during the second quarter of Friday's first-round Class 8A football playoff game against Edwardsville at Huntley High School Oct. 27, 2017. Huntley was defeated, 42-38. 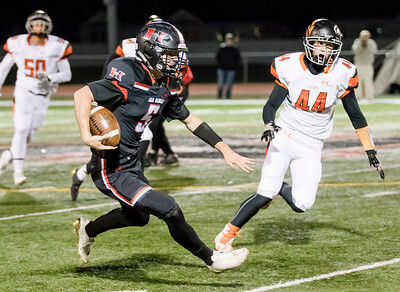 Sarah Nader - snader@shawmedia.com Huntley's Eric Mooney runs the ball during the first quarter of Friday's first-round Class 8A football playoff game against Edwardsville at Huntley High School Oct. 27, 2017. Huntley was defeated, 42-38. Sarah Nader - snader@shawmedia.com Huntley's Ryan Antonsen catches a pass during the first quarter of Friday's first-round Class 8A football playoff game against Edwardsville at Huntley High School Oct. 27, 2017. Huntley was defeated, 42-38. 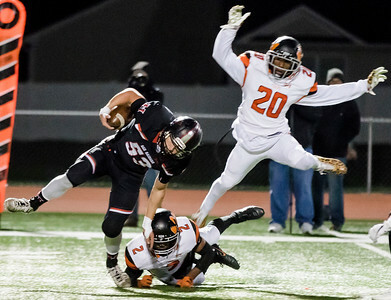 Sarah Nader - snader@shawmedia.com Huntley's Chase Zion takes down Edwardsville's Norman Harris rduring the first quarter of Friday's first-round Class 8A football playoff game at Huntley High School Oct. 27, 2017. Huntley was defeated, 42-38. 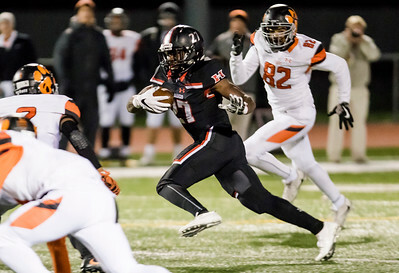 Sarah Nader - snader@shawmedia.com Huntley's Melvin Aninagyei-Bonsu runs the ball rduring the second quarter of Friday's first-round Class 8A football playoff game against Edwardsville at Huntley High School Oct. 27, 2017. Huntley was defeated, 42-38. 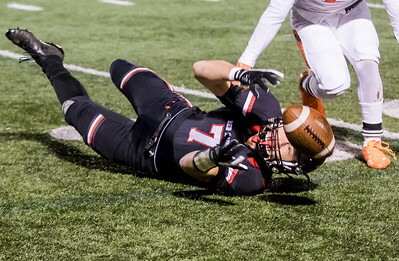 Sarah Nader - snader@shawmedia.com Huntley's Eric Mooney dives for the touchdown during the fourth quarter of Friday's first-round Class 8A football playoff game against Edwardsville at Huntley High School Oct. 27, 2017. Huntley was defeated, 42-38. 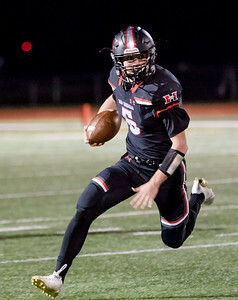 Huntley's Eric Mooney runs the ball during the first quarter of Friday's first-round Class 8A football playoff game against Edwardsville at Huntley High School Oct. 27, 2017. 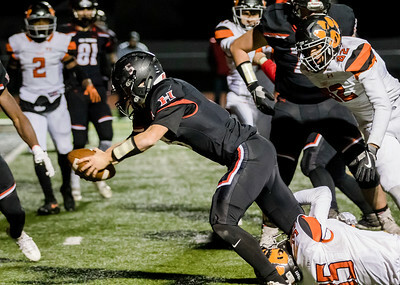 Huntley was defeated, 42-38.